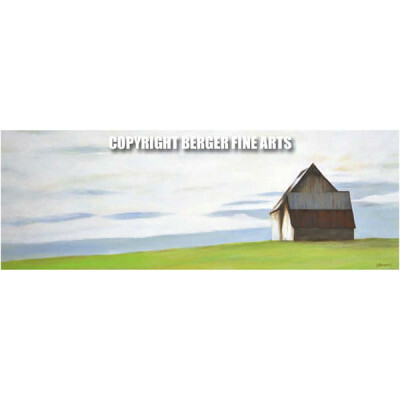 This piece features a barn somewhere in the mid-west. The green is vibrant because it is competing with the big sky. This 24" x 10" archival quality Giclee print is signed and ready to frame.